Editor’s note: This next post is from prolific author, Christy. Besides her multiple NOadventure posts, she’s always busy writing for her own super-popular fashion blog SlowSouthernStyle. A big part of getting out of town is careful planning, finding overnight accommodations, where to eat, what to do, etc.. but sometimes you just want to get in the car and drive and not have to think about all of this. 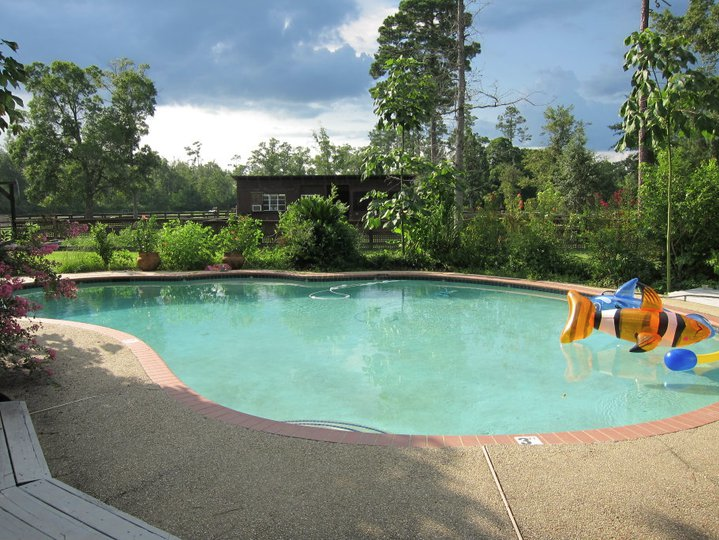 Splendor Farms is a great, quick getaway on the Northshore that feels far enough to get a real vacation vs. a staycation in but is under 2 hours from New Orleans. The only planning necessary is booking the reservation, that’s it. 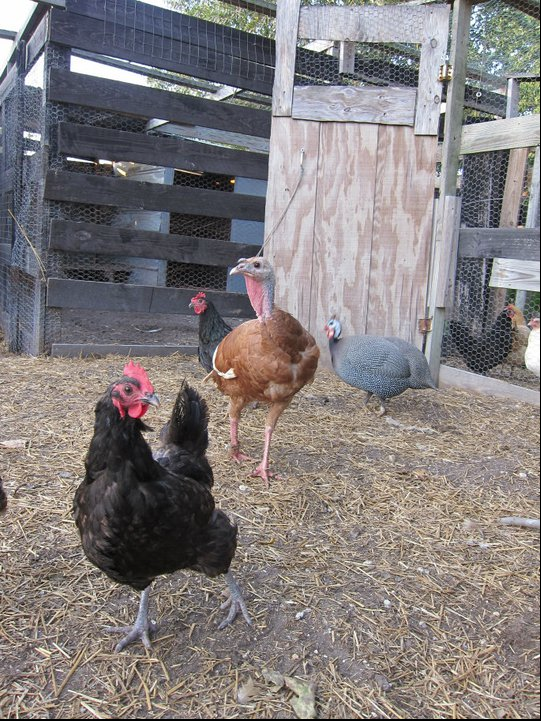 Splendor Farms is a working farm that doubles as a bed and breakfast for overnight guests. When you first arrive you’ll probably be greeted by one of several farm dogs, but relax they are friendly and want to hang out with you. 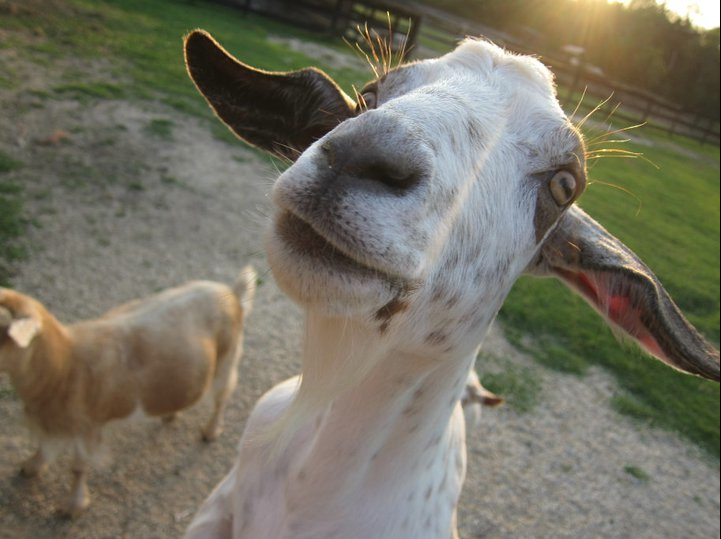 The farm is also dog friendly, with the exception of a few areas like the goat pen. Take a dip in the pool, feed the goats with the animal crackers left in your room for you, and pick out what you want to eat for breakfast the next morning. 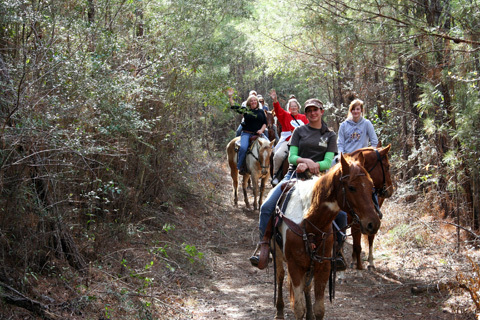 Breakfast is served at either 8:30am or 9:00am, horseback riding at 10:00am. For experienced riders there is also a 3 hour ride in the afternoon. Since falling didn’t appeal to me I opted for the leisurely 1 hour trot through the woods. Even though we went in July the woods were shaded enough that it was a pleasant ride. Make sure to bring closed toe shoes and a pair of jeans wouldn’t hurt either. Having never been on a horse before I found it relatively easy but should you be a little off put by putting your life in the hands, rather hooves of a large animal, you can also borrow a helmet upon request. The author below with a borrowed pair of pink cowboy boots. After all that outdoor activity you’ll be hungry and while the rooms have their own fridge and microwave you might as well take the 20 minute drive to Abita Springs and grab dinner at the Abita Brew Pub, which certainly beats eating a heated up microwave dinner in your room. There’s also wifi at the farm so hunting down a restaurant on your phone is no sweat in case you forgot to figure it out at home. We took advantage of a Living Social deal but normally rates are $275 a night which includes horseback rides and breakfast for two. 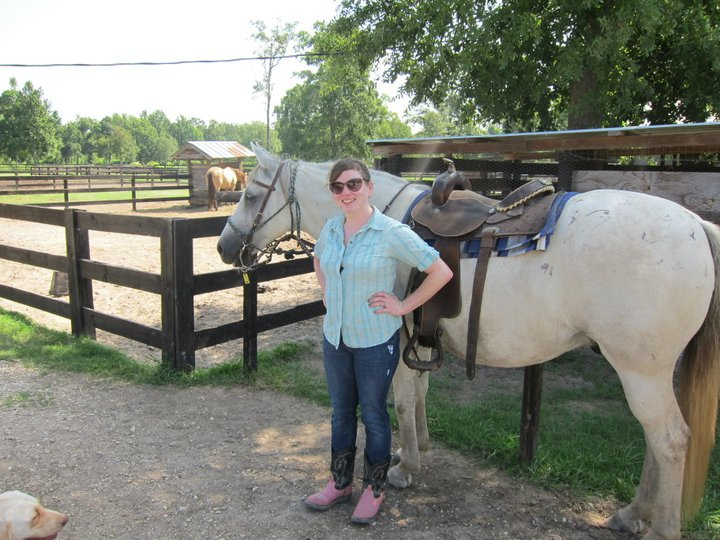 Christy Lorio is a freelance writer and the founder of Slow Southern Style.